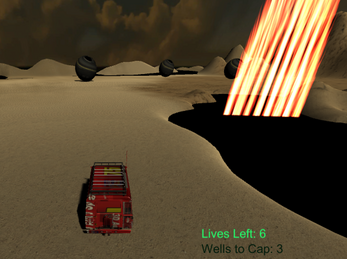 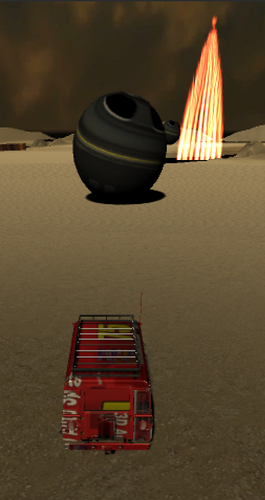 The oil wells are on fire, you must put them out by capping them with the giant steel marbles in the desert. Bump and roll them onto the fire with your firetruck, but be careful to not drive into the fiery oil pits! Use the ARROW KEYS or W A S D keys on your keyboard to drive. 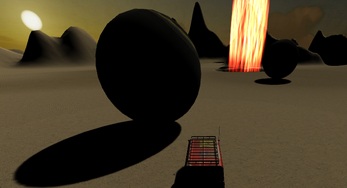 This is the first game I made after learning Unity3D.